Teachers are always looking for a way to determine if students are understanding the material. Whether it's group work or direct instruction. 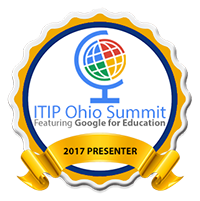 Here is a good, quick way to use Google Forms to assess the "temperature" of the understanding. 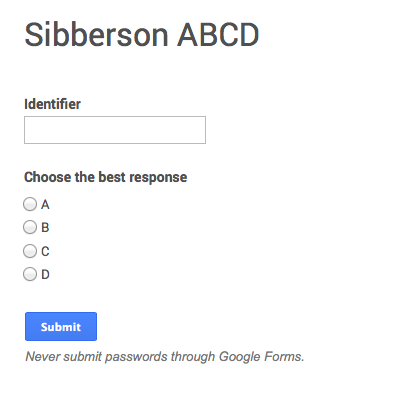 I would suggest creating some generic Google Forms. You can save them and use them frequently, by clearing out the response data and using them over and over. 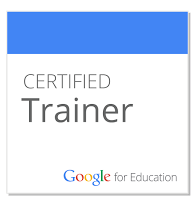 Below, I have shared two generic Google Forms that I use to assess my audiences. I have used these forms to gather information, either in multiple-choice format or short-answer text format. I have used a bit.ly shortener and QR Code to make the Forms accessible to the students. They can use any device to submit responses - no need for those expensive clickers. The actual questions live on the presentation of the day or written on the board in the room. I also included an options identifier box, so if I needed to survey them more than once, they could include the identifier. They could use a 1 for the first question, 2 for the second, and so on, so the data could be sorted or filtered. It could also be used for the student's name, if results were to be retained. I could then filter my data in the spreadsheet for the results of the survey. One of the best features of Google Forms is that the graphs of the data are available immediately. You can stop and analyze it right away. Having a link to that spreadsheet ready, will make data analysis easy, quick, and very informative. 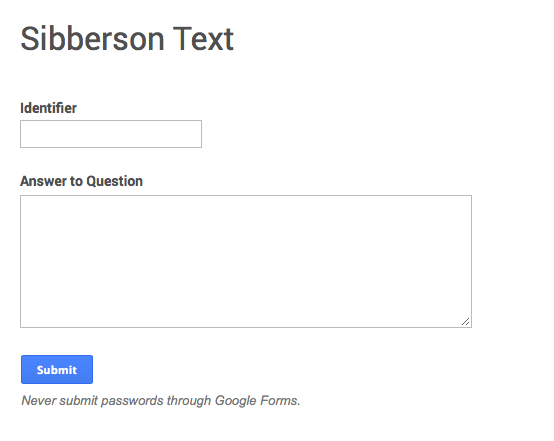 Create yourself a couple generic Google Forms and gather some quick information from your students.